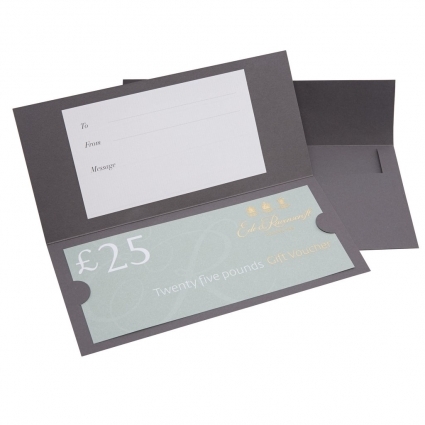 Take the guesswork out of gift giving with Ede & Ravenscroft gift vouchers, the perfect present. Valid for 12 months, gift vouchers can be redeemed at any of our stores and are available in denominations of £10, £25, £50 and £100. Includes a space for you to write a personal message.